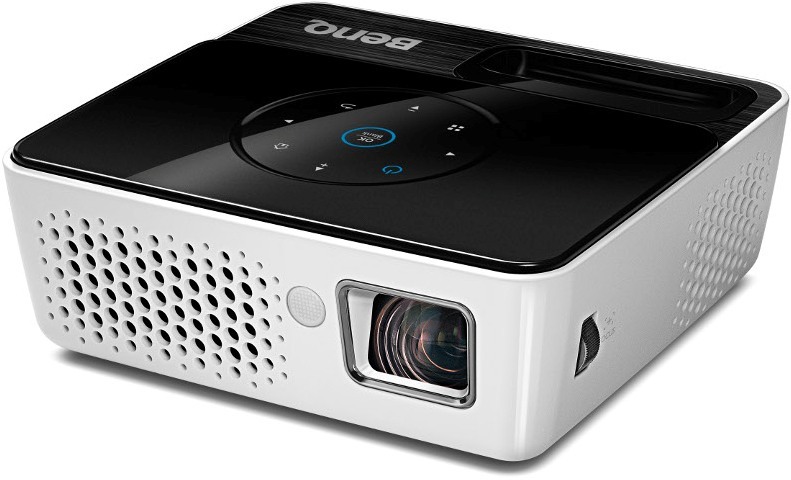 BenQ Joybee GP2 is a 200 ANSI Lumens, 2400:1 Contrast, 0.6 kg, WXGA (1280 x 800) resolution DLP Projector. Comes in the mini-projector category with optional battery operation, a broad range of source connections, and Apple iPhone/iPod docking on the top. Connectivity options of Joybee GP2 includes ports for USB, mini USB, PC/AV, mini HDMI, audio in, an SD card slot, a 3.5mm jack. LED lamps eliminate the rainbow effect in this and has an expected lamp life of up to 30,000 hours. GP2 supports video files such as AVI , MOV , MP4, FLV as well as MKV and supports audio files such as MP3, MP2, APE, FLAC, OGG, WAV and m4a. 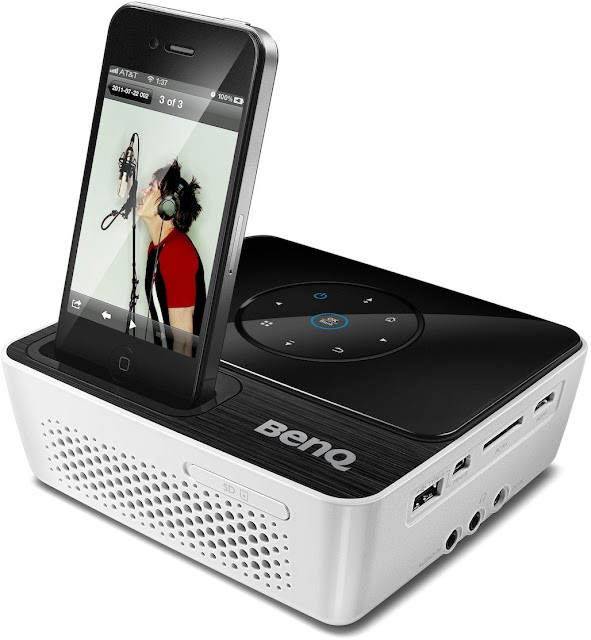 BenQ Joybee GP2 comes with a price-tag under $550 and is good option for small business meetings and personal entertainment activities. Tags: BenQ Joybee GP2 Projector, BenQ Joybee GP2 Projector features, BenQ Joybee GP2 Projector specifications, BenQ Joybee GP2 Projector review, BenQ Joybee GP2 Projector details, BenQ Joybee GP2 Projector availability, BenQ Joybee GP2 Projector specs, BenQ Joybee GP2 Projector images, BenQ Joybee GP2 Projector pics, BenQ Joybee GP2 Projector pictures, BenQ Joybee GP2 Projector price.